Nearly half of the Boston teenagers who were asked who was at fault for the alleged Feb. 8 fight between Chris Brown and Rihanna said she was at fault. 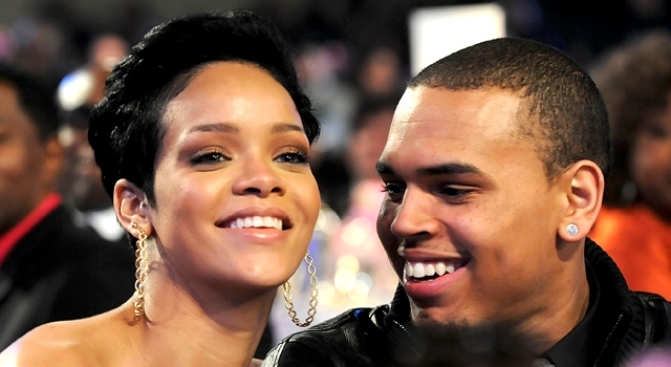 A survey of Boston area teens who were asked about the recent dust-up between R&B singer Chris Brown and his megawatt girlfriend Rihanna offers some surprising insights into adolescent attitudes toward domestic violence. Nearly half of the teens asked said that the alleged beating was Rihanna’s fault. The survey on dating violence was conducted by the Boston Public Health Commission and asked 200 teenagers and 20-somethings what they thought happened the night of the alleged altercation that led to Brown being charged with two felonies. Nearly half thought Rihanna bore the responsibility for the attack, 52 percent believe that they are both to blame. After a February 8 incident that left Rihanna bruised and bloodied reports began to surface that the Barbados-born songbird flipped out over a series of tawdry text messages, leading some to believe the Rihanna was the catalyst for an abusive relationship. A significant number those surveyed said Rihanna was destroying Chris Brown’s career, and females were no less likely than males to come to Rihanna’s defense. The study has sparked minor outrage among newspaper columnists. They have extrapolated the Boston study’s results to reflect the eroding family values in America. While the rest of the country grapples with that question, Rihanna herself is pushing back on media reports about her own career. Last week the singer’s camp denied reports that she and Brown were recording a duet love song. Today Rihanna’s people are denying reports that the singer has been talking about transitioning to film. The New York Daily News reported Monday that Rihanna was in talks to remake the 1992 hit “The Bodyguard,” and star in the role that Whitney Houston occupied alongside Kevin Costner. The newspaper also hinted that the singer was considering a “Charlies Angels” sequel as well as another movie with Justin Timberlake, but a rep for Rihanna told MTV news that the rumors are false.